For this card, I used the sketch at The Cat’s Pajamas TCP Tuesday #278 Challenge. This cute little dapper penguin is from The Cat’s Pajamas. I applied Distress Ink to the edges of the tag to match it to the patterned papers. I painted the snowflake behind the tag with the Wink of Stella brush pen for some nice shimmer. This also fits the bill for the current challenge at Addicted to CAS Challenge #51 – Code Word: Tag. Thanks for visiting. 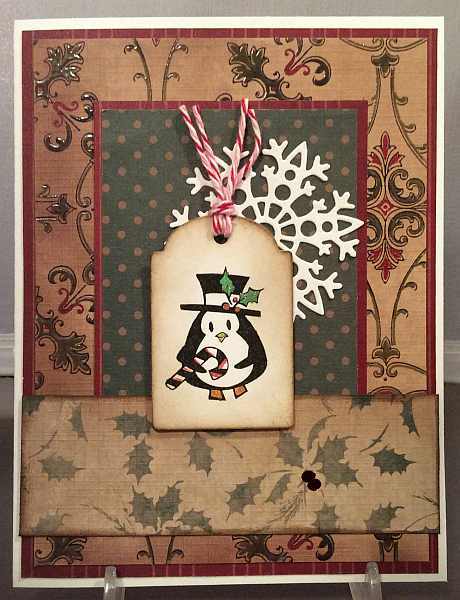 This entry was posted on Sunday, November 9th, 2014 at 10:06 pm	and tagged with cardmaking, Cat's Pajamas, clean and simple stamping, die cuts, Impression Obsession, penguins, Simon Says Stamp and posted in Addicted to CAS, Challenges, Christmas, Tags, TCP. You can follow any responses to this entry through the RSS 2.0 feed. 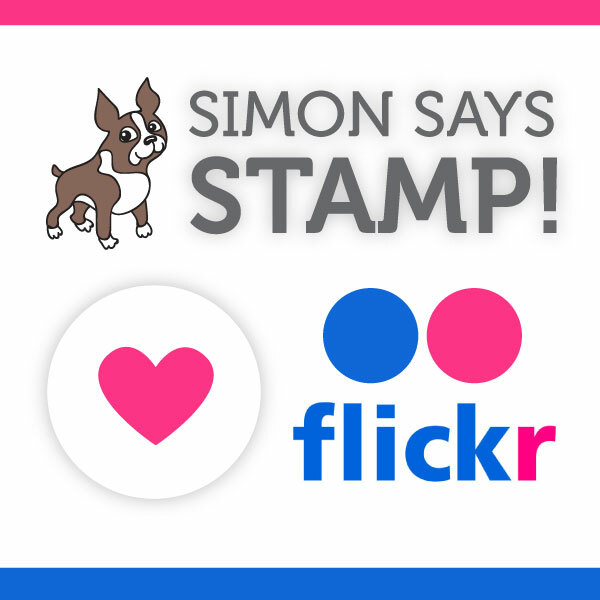 Yvonne, this is adorable – love the vintage colors. Thank you for joining us at The Cat’s Pajamas. Oh that penguin is so adorable! Thanks for joining us at ATCAS!